This blog post contains affiliate links for your convenience. Mickey Mouse Clubhouse. Mickey Mouse Clubhouse is super popular with ages two and up. It is rated highly for educational value, positive messages, and good role models. When my oldest was preschool aged, she loved the show and enjoyed playing on the Disney Junior website. Mickey Mouse Clubhouse features all of the classic original characters. You will find Mickey, Minnie, Donald Duck, Pluto, Goofy and the rest of the gang. The show has catchy songs that will have you singing along. 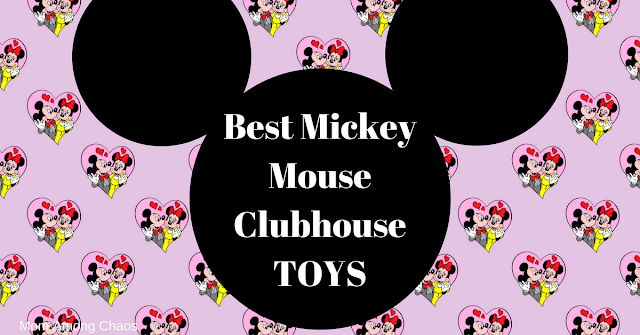 Since the holidays are right around the corner, I thought I would bring your family a few of my top picks of Mickey Mouse Clubhouse goodies!